Is your business being found online? With our SEO services, we get your business ranked on the first page of Google So that you are easily found online when customers are searching for businesses just like yours. One of the best ways to bring a company or website closer to its audience or customers is by the use of our Melbourne SEO services. This is why Redmond digital marketing agency, has set up a team of experts in Melbourne to help rank all start-up and existing websites from nothing up to the first page of google. This has helped such companies increase traffic and make more sales over the years. As one of Melbournes leading digital advertising agencies, we can create easy to understand and self-explainable videos about your business to help put you ahead of your competitors. If you stay in Melbourne or another part of the world and ever want to increase your online presence and gain more authority in any line of business then our Melbourne SEO company is perfect for you. Studies have shown that over 90% of search engine users are more likely to click on one of the top 5 suggestions in the Google search results page. 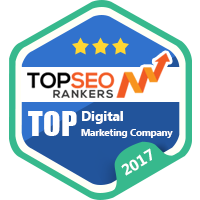 So by using our Melbourne SEO service to make your website rank higher simply means getting more customers to your online store or website. Our SEO service will help put you ahead of your competitors. If two websites are selling the same thing, the SEO optimized website is more likely to have more customers and make more sales. SEO helps to increase the visibility of your business or company By continuously haveing your website show up in all search results and hence gaining the confidence of potential new customers. SEO helps to improve website accessibility and usability. By hiring one of our Melbourne SEO experts, you are guaranteed to be among the top ranked websites on search engines and will receive a good return on investment without having to pay for any adverts or traffics. Allows your video to be ranked higher on search engines and this directly drives traffic to your website. Studies have shown that visitors spend more time watching online videos than reading so it allows customers to spend more time on your website and this can increase sales and site authority. It easily allows you to spread your message across a larger audience through social networking. Online videos allow you to build trust with your customers. Online video has a 400% higher conversion success rate compared with text. Watching and learning from videos is more convenient and appealing. Customers who watch your videos will most likely visit your website to get more information on your products and other services. This can simply help increase your sales and revenue. From the above points, it’s obvious that implementing effective video marketing tactics has its advantages over traditional SEO. Our Melbourne SEO experts know how to utilize this advantage by ranking your videos on the first page of Google and YouTube, therefore, putting you ahead of your competitors. As a digital advertising company, we know how time-consuming having one of your staff members oversee your online marketing and PPC campaigns can be. What we do is offer a complete pay per click management service. There are many advantages of hiring someone else as your pay per click management. The most important reason is that you don’t need to employ someone in the business specifically for this job alone. This leaves you with enough resources freed to focus on doing what you do best. Leaving the heavy lifting to us, you ensure the best service for your business. Simply give us your account requirements and leave the rest to us.